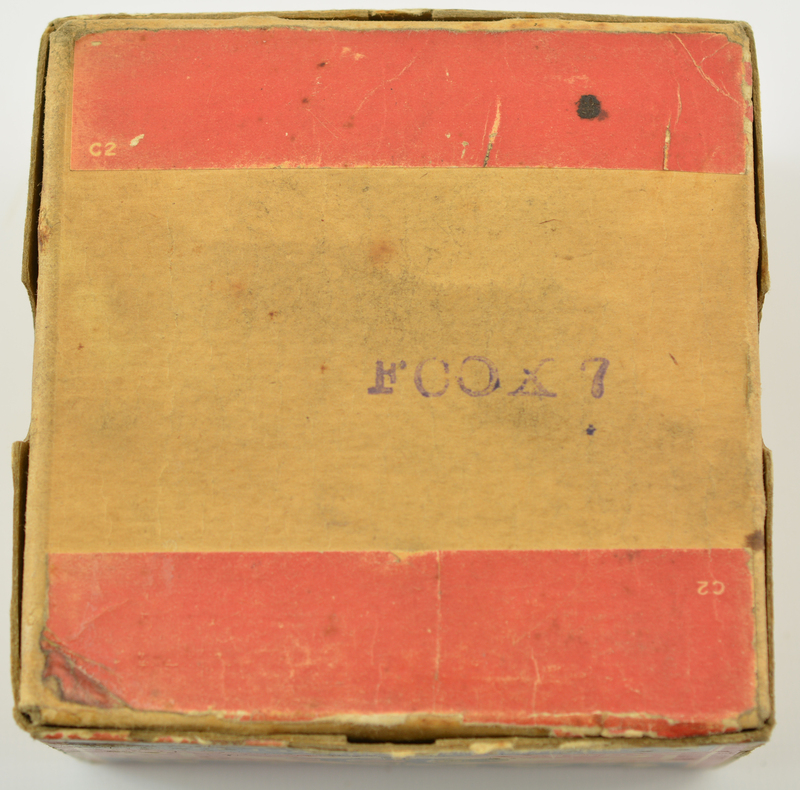 Description: This partial (13 rounds) two piece full top box is coded"FC0X7" on back indicating June 30, 1924 packing date. 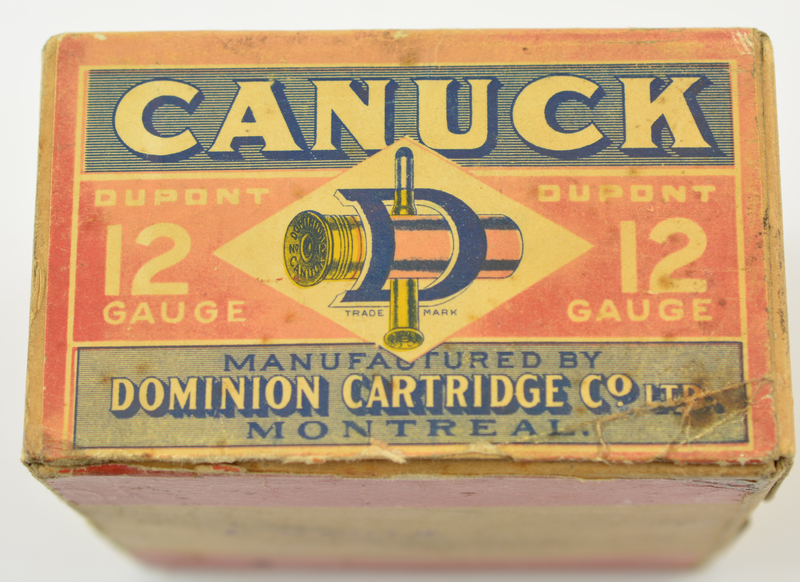 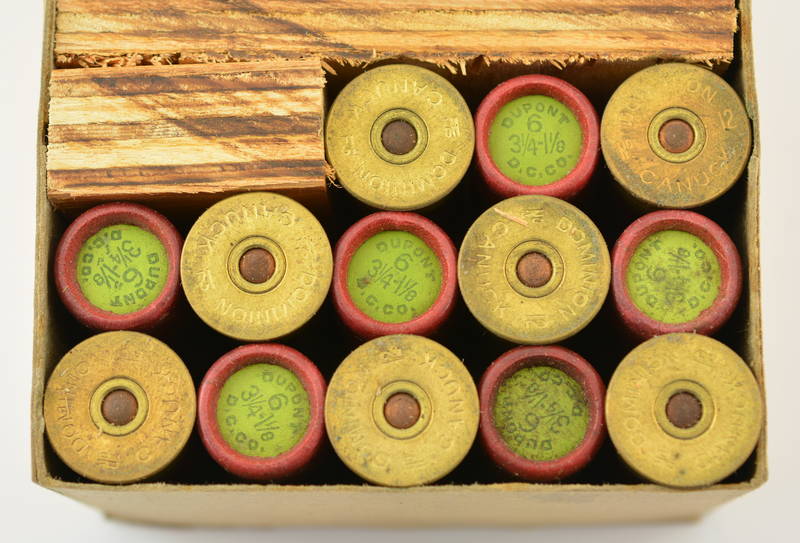 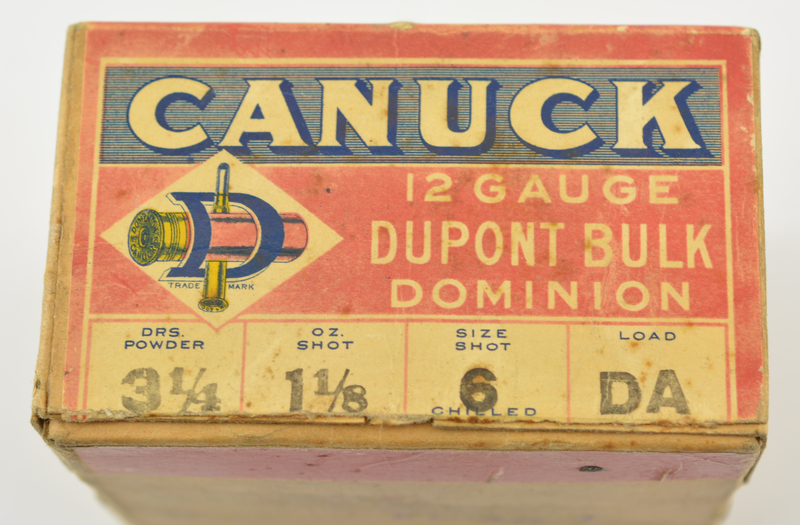 Box shows a great "Bent D" logo with "303 LM" headstamped rifle cartridge and "Dominion No 12 Canuck" headstamped shell. Box shows shelf wear and fading with a couple light stains. Shells have low brass bases with red paper tubes and green topwad reading "Dupont 6 3 1/4-1 1/8 D.C.CO." Headstamp matches box. 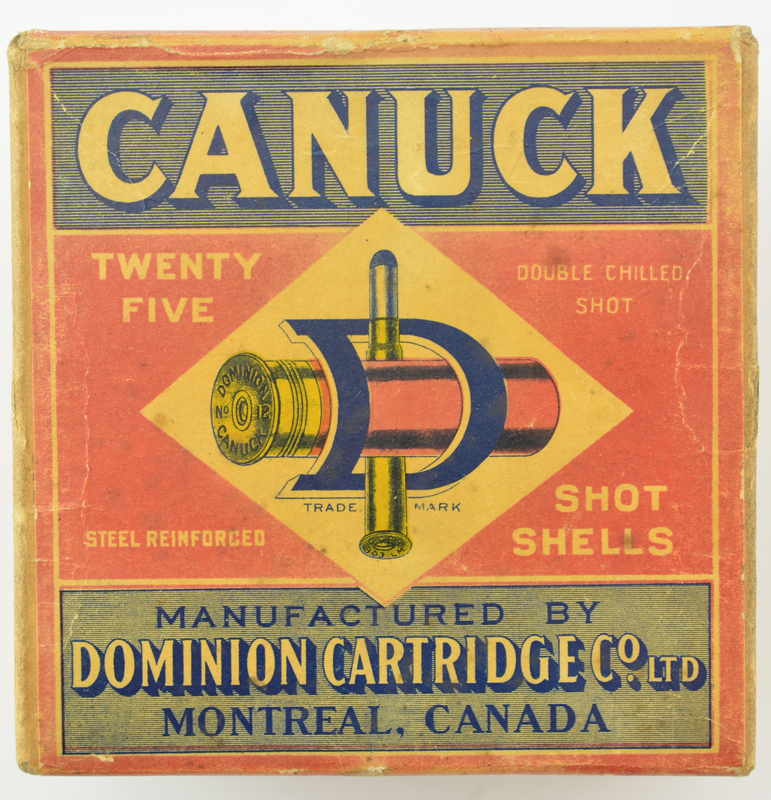 The canuck line was the company's economy offering.